In addition to being an award-winning wargame designer, John Hill was also a huge train enthusiast. He enjoyed playing with trains ever since he was a young boy. He had an incredible appetite for doing creative things and creating different stories. 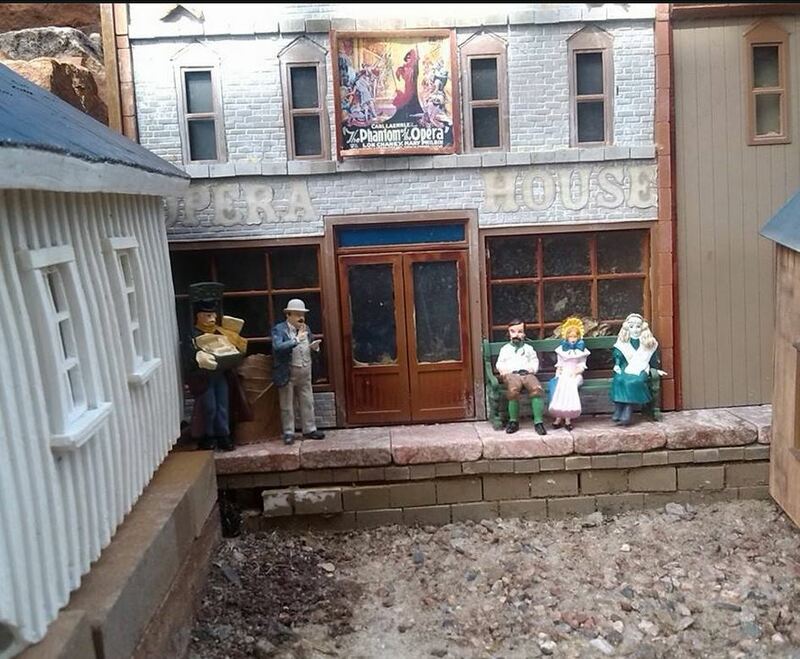 He practiced his fine motor skills to only paint his civil war miniatures, but also build and paint buildings to be used on model railroad displays. When I was very young, my father, John Hill (1945-2015), had opened a hobby shop called Scale Model Shop as it was located on Scale Road in Lafayette, Indiana. My father operated the Scale Model Shop from 1971 – 1979 when a flood occurred wiping out much of the merchandise. When I think of my early years, one of the memories that always comes to my mind is not that our our home we lived on in Lafayette, but the store that my parents spend their time working hard from the early morning until dinner time. The school bus would pick him up in the morning and drop me off at the store location. In fact, my first word was not “Mama” or “Dada” but “train.” The word “train” was used so often when I was young that it became my very spoken first word. I practically grew up in the Scale Model Shop. 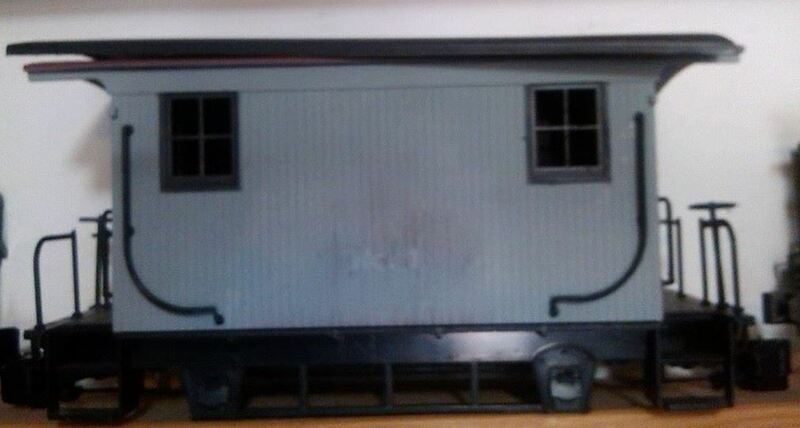 It became such a central focus of my surroundings as a child that I learned about kitbashing which is a method of creating model railroad buildings by taking one or two commercial railroad buildings and modifying them in a new and creative way, before I learned how to tie my shoelaces. We would have customers who came into the shop and if my parents were busy I would walk up them in my pig-tails carrying my favorite stuffed animal and look them square in the eye and ask, “May I help you find what you are looking for today?” – I had heard my parents say it over and over again, so I knew the drill. But, not only was I able to properly greet customers at the store by the time I was four years old, I also could usually direct them to the location within the store they needed. For example, if a customer came into the store asking for G scale structures you could buy for outdoor use that were fairly durable in harsh weather, I knew what part of the store we carried the G Scale equipment and I had them follow me to that area of the store. There were the occasional strange and yet surprised looks from new customers. 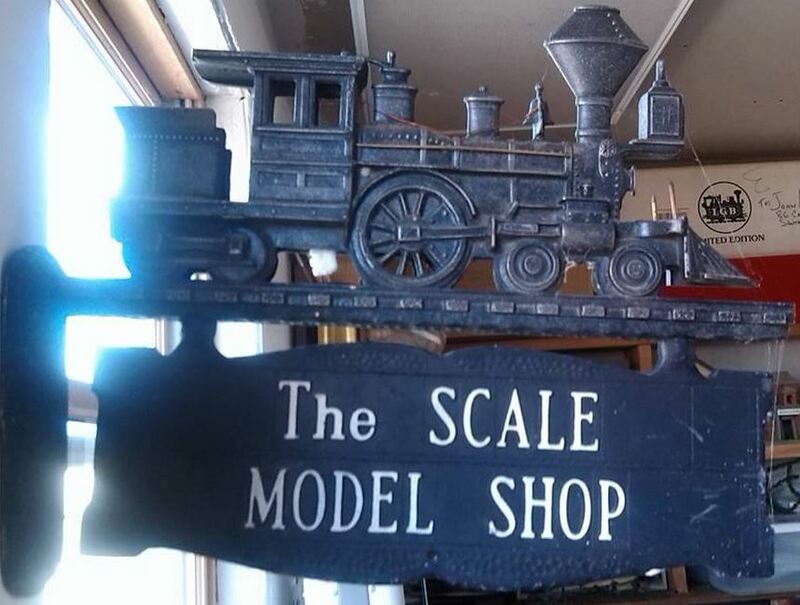 My father’s passion for trains did not end when he had the Scale Model Shop suffered a massive flood. My father continued to build garden model railroads all the way up until he passed away this past January. He had a huge garden railroad in his backyard in Santa Fe, New Mexico and was featured in a magazine on garden railroading a few years ago. Whenever my father took on a passion, he truly took it. This not only went towards his career and passion for wargames, but also for railroading. Below are a few pictures taken from the backyard. They are a little rough as they were taken seven months after my father passed away but you can certainly get the feel for his passion for trains and model railroading. One of the reasons my father wanted to run his garden trains in the backyard so family and guests could see the hard work and love he had for garden railroading as opposed to keeping it hidden in a basement or attic. My father acquired some Colorado red rock during one of their travels to Colorado and brought it back home to use towards his design of a garden railroad layout. He also chose to place it right up against the back porch so it was easily visible and could be a topic of conversation when guests came over. It greatly enhanced the rock garden by father built with the Colorado rock. Because we do get frequent rain here, my father installed drain tile and piping to carry the water down to the lower level of his rock garden so to not interfere with his layout along the top. He was meticulous in every detail. That was my father’s nature. There would on occasion be the humorous mishap when my parent’s cat would curl up for a nap inside one of the the tunnels of the garden layout and my father would proudly be showing off how well his train was running to a friend when as soon as the train entered the tunnel where the sleeping cat was you heard a loud angry hissing cat sound coming from inside the tunnel. The now derailed train engine and many of its small electrical components were completely covered in cat fur. Please feel free to leave comments below and I will respond shortly. This was a really great article in memory of John Hill and his love of trains. My son loves trains….and I mean loves them! He currently owns more than 75 toy, wooden trains. And although they are mostly Thomas the Train, Chugginton, and Doug & Melissa Trains, he is just under four, he is now starting to get into model trains too! My father-in-law also retired from BNSF railroad after 32 years so I know his love for trains has been fuel for my son’s love of trains….and I am grateful for it. I live here close to Houston, Texas and just slighty south of us is a smaller town called Rosenberg, that has a little train Museum. My father-in-law takes my son at least once a month and during the summers, he goes almost every week. Just as you showed models of cities and train tracks going thru them, I can see my son and I building those one day as well. Thank you for sharing your story about how much your little boy loves trains. It does sound like his love for trains will turn into a life-long hobby of building garden railroad sets. My father loved, and perhaps obsessed is a better, over the hobby throughout his lifetime. If you visited my other pages on this site, you would see John Hill, my father, was also an intellectual and analytical historian. He loved developing train sets around a particular era of history, such as a Ol’ Wild West theme and he would set up gunman doing a train robbery. I have a son too and my son also loved Thomas the Train when we was little too. I am familiar with Chugginton and Doug & Melissa Trains, but my son did not get into them – differing times with the differing ages. My father, just like yours, was enthusiastic to fuel my son’s love of trains as well. My father set up a small backyard railroad set for my son when he was old enough to care for it. So when you spoke about your Dad and your son bonding through their love of trains, it reminded me of my son and my father doing the same. My father loved t-shirts and he collected them where ever he went, especially when it was a train place. And one of his t-shirts was a BNSF ES44DC Authentic Railroad T-Shirt. I think our Dads would have been great pals. Many thanks again for sharing. Come back and visit again soon. I’m not much for war games but I love the garden train. I can tell by the detail how much your father loved this hobby. It’s something I could see myself doing because I enjoy being outside and I enjoy the satisfaction of creating something with my hands. It’s also wonderful to have those childhood memories of your dad’s store. He was a loved man. My father indeed loved the garden railroad hobby. His hobby began decades ago when I was just a baby through the Scale Model Shop that he and my mother ran for nearly ten years – throughout the seventies and surviving the recession of 1973-1975. Not too many small business owners are able to survive a recession, but my father did. My earliest memories were that of the store which catered to model railroaders. We had regular customers but we also had new customers coming in as well, even during the tough recession. It must have been awesome sharing this with your father and being a part of the whole experience! I love the ideas of bringing it out to the garden so everyone can see it as opposed to being hidden away. Thank you Shawn for the kind words. My father loved to share his passions with others. His hobby of garden railroading was no different. He spent painstaking hours putting together his railroad layout. 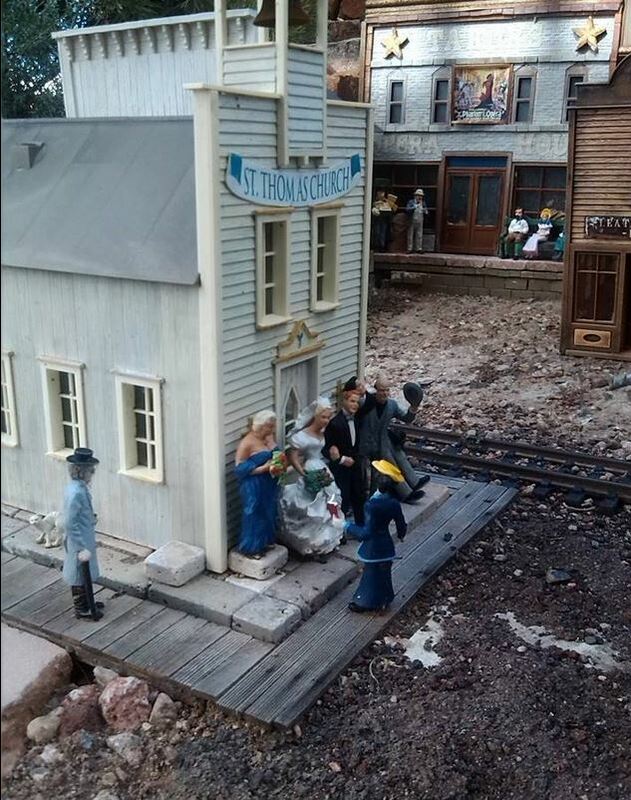 I only took a couple photos, so you cannot see the actual size of it, but it covers a large portion of the back porch as well as the Colorado Rock he constructed for his train set. I am sure you would have been great pals. My father easily made friends and always welcomed guests. Nice article and pictures on your father’s models. I bet it would be pretty cool to see it in person! Thank you for the compliment. It is a pretty nice looking set up to see in person. As mentioned in the article, the layout is a little rough right now, but still cool looking.